[How-To] Log In Many Accounts on Same Website in Chrome. Many internet user have more than one accounts on same website. We generally make more than accounts on websites like Google,Facebook and Twitter. Sometimes we want to open our second account on the same time when we are using our first account. It is a very common problem for all of us So, What to do? Generally we use another browser but it is so limited we can only install 5-6 browser. Second process is making more user accounts of one browser this way is more convenient than above . If you want to use another account for one or two-time I will recommend you to use above mentioned ways. The best way to use more than one account is adding extension in chrome. 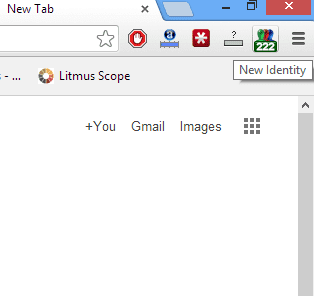 Identity Mask is an extension for chrome. Using this extension you can log in many accounts at one time. When you launch chrome and Sign into any website so chrome saves cookies and keep you sign in so that when you open a new tab and open that site you don't need to sign in again. This is the reason when clean your Browsing Data or Cookies you have to log in again on all the websites again. This is very convenient many time but it not allow us to sign in different account on same site. It is very simple to use. You just have to install its extension and click on it. This will open a new tab and now you can log in on the same site again.